Questions From Artificial Hip Clients: What Are The Key Medical Records? I answered some of the questions provided by a former client of mine in Part 1. Today I will work through more questions from The List. 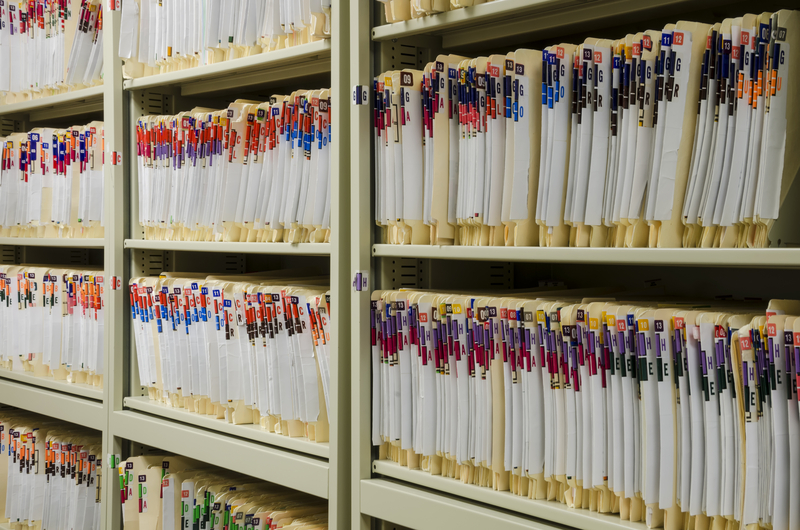 I noticed several questions grouped around the concept of gathering relevant medical records. Very good topic. At the outset I should remind you that your attorney will request your complete medical file from the hospital, your surgeon, your physical therapist, the radiologist, your primary physician, even the drug store. Still, it is helpful to know which documents are vital in building a strong case against a manufacturer when a hip or knee or other medical device fails. These are the identifying “stickers” attached to medical devices like an artificial hip. Prior to surgery, a medical device (like the acetabular cup in a hip replacement) will be delivered to the hospital or surgical center in a package. The product sticker will be affixed to or included with this package, and the operating room nurse will be responsible for double-checking that the medical device is the properly prescribed one for your specific surgical procedure. Once the medical device is confirmed to be correct, the nurse will remove the product sticker and place it on a page usually titled something like Receiving Report or Perioperative Note or even Nurse’s Report. These stickers will have all the key identifying information relating to the medical device. For example, the product sticker may state in large lettering: Depuy ASR Acetabular Cup. It will identify a reference number and a lot number; the sticker will also contain bar codes to further identify the particular medical device or component. The sticker will display the size of the acetabular cup, and other important information specific to that device. Not all hospitals maintain these product stickers as they should (which is ridiculous). I have had cases where the hospital could not produce the product stickers for the medical device, and we were forced to obtain an affidavit from the orthopedic surgeon confirming that the particular medical device was implanted in the patient. It all worked out, but again, the product stickers are perhaps the most important part of the entire medical file. What Is the Operative Note? The Operative Note (or the surgical note) is the written record of a surgery, almost always produced (usually dictated) by the operating surgeon. It is a key document in the journey from the defective product failing inside your body to the moment where you file a lawsuit against the negligent manufacturer. There is normally key information in the Operative Note, such as the technique used in implanting the medical device, the medical devices implanted, and any complications that may have needed attention from the surgeon. As for key information on the surgery, this is almost always the most important record. Are There Other Key Medical Records to Watch For? Absolutely. The Discharge Summary is an important document. The Discharge Summary gives an overview of the patient’s experience through the entire surgical procedure, from being admitted, through the surgery, and an explanation of post-operative care. It should also provide instructions for handling recovery after being discharged. The Discharge Summary is usually drafted (dictated) by a physician who was not the surgeon in the case, so the record should be scrutinized for potential inaccuracies, which can occur. The physical therapist’s records can be vitally important. A physical therapist is a licensed health care professional who helps patients improve mobility and reduce pain and recover from difficult surgeries, such as a total hip replacement (THR) or knee replacement. Often, the written record from the physical therapist provides valuable information on the progress of the patient after surgery, and on the pain and suffering the patient is enduring through the rehabilitation process. In many cases the physical therapist can be the health care professional who first recognizes that the hip surgery and/or the hip components may have failed. Note: I do not reference any particular case or client in this article. You can always call me if you have specific questions of your own: 919.546.8788.